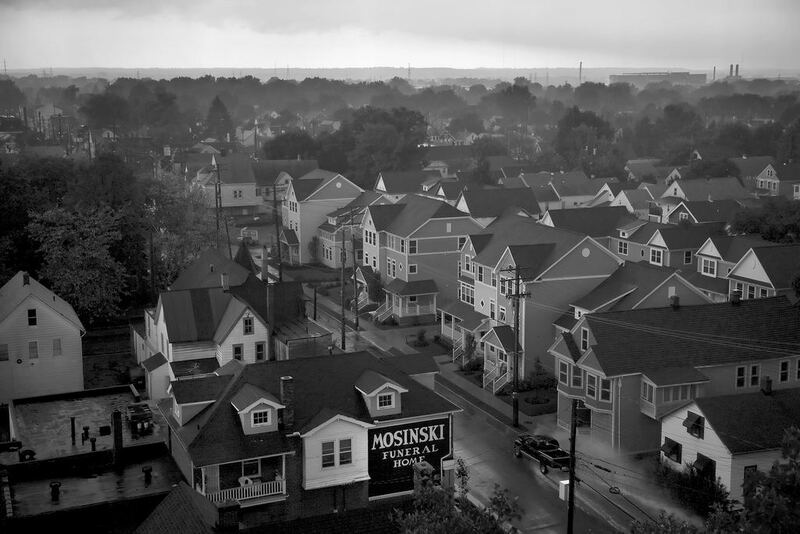 The North and South Broadway communities, now known as Broadway Slavic Village, were originally part of Newburgh Township, organized in 1814 as one of the earliest settlements in Cuyahoga County. Settlers from New England were first attracted to this area in 1796 by the fresh water and power provided by the fast-flowing Mill Creek. In the first half of the 19th century, construction of the Ohio and Erie Canal led to industrial and commercial growth in the Broadway area, including the establishment of several steel mills. With the arrival of heavy industry came a large influx of Welsh, English, Scottish and Irish immigrants. Many working class neighborhoods were formed within walking distance of the factories that provided employment. Later, in the 1870s and 1880s, Czech and Polish immigrants arrived, bringing their culture and religion to the area. Over the years, they created a neighborhood as rich in ethnic history as any in the United States. These immigrant workers also built churches and national halls, most of which still serve the community today. Commercial development occurred primarily along Broadway and Fleet Avenues. At its peak in the 1920s, the intersection of E. 55th Street and Broadway was rivaled only by downtown Cleveland and the East 105th Street area. Fleet Avenue developed with Polish-owned businesses intermingled with residential housing. Today, Broadway Slavic Village is a national leader in reimagining urban land use to meet 21st century quality standards. In addition to new parks and green space that are home to numerous concerts, festivals and a Farmer’s Market, in 2006 Slavic Village Development opened the Morgana Run Bike Trail, which connects to the Ohio and Erie Canal Towpath and has 5 public art installations, including the iconic 35’ Rotaflora sculpture and the 600’ Pixelating Morgana mural. Since 2009, over $50 million in projects have been completed or are currently under construction, including the $10 million new Mound School, the $6 million Stefanski Stadium and the $9 million E. 55th RTA Rapid station. The Slavic Village Historical Society is located in the offices of Slavic Village Development at 5620 Broadway Avenue, #200. It is operated by the Mill Creek Falls History Center. The Slavic Village Historical Society (SVHS) was certified by the State of Ohio as a public non-profit organization on July 12, 1995. It serves Cleveland’s Slavic Village and Broadway-East 55th neighborhoods as well as the Mill Creek area. The Historical Society’s mission is “to instill and increase the historical knowledge of the area known as Slavic Village and its adjacent communities.” To carry out this mission, the SVHS conducts neighborhood tours and gives presentations to area organizations. 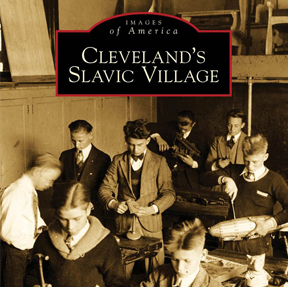 You can also search for old Slavic Village photographs at Cleveland State University’s Cleveland Memory Project. The Bohemian National Hall, built in 1896 as a community hall to accommodate the cultural, social and education needs of Czech immigrants, today has been lovingly restored and continues to serve new generations. The National Hall is home to Sokol Greater Cleveland and the Cleveland Czech Cultural Center and Museum. Sokol Greater Cleveland, one of the largest unit’s within the national organization, offers physical training in gymnastics and other athletics, as well as providing cultural awareness and family oriented activities. Bohemian National Hall is an excellent location for parties and events. It’s historic auditorium with full stage and balcony hosts Opera Circle, Cleveland’s Womens Orchestra and other entertainment that draws enthusiasts from across the city of Cleveland. The Slovenian National Home, also known as “The Nash”, was founded in 1917 to serve Slovenians in the rapidly growing community. Nearly 100 years later, it remains a popular gathering place for neighborhood events. 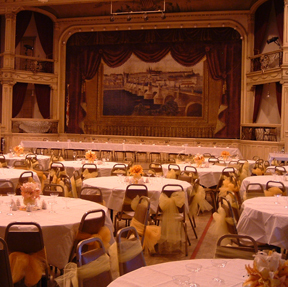 The Nash has hall rentals available, which seat up to 450 people. 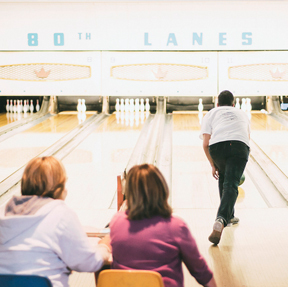 The Nash is also home to the East 80th Lanes, which has 12 lanes of bowling available for any occasion. Catered, home-cooked meals are available for both the hall and and bowling lane rentals. Founded 1998, the Polish-American Cultural Center is dedicated to the promotion of Polish culture, traditions, language, history, literature, arts, music, theater and education. Their mission is to provide an organizational structure for all who desire to be in touch with Polish heritage. The cultural center serves a delicious brunch every Sunday, for more information call 216-883-2828. The Polish American Cultural Center is located at 6501 Lansing Avenue, Cleveland, Ohio 44105. The Slavic Village Historical Society was formed on July 12, 1995. It serves Cleveland’s Slavic Village and Broadway-East 55th neighborhoods, as well as the Mill Creek area. The Society is housed in the Slavic Village Development Headquarters. The Broadway School of Music & the Arts is located in a landmark building that originally housed the Hruby Conservatory of Music (1918-1968). 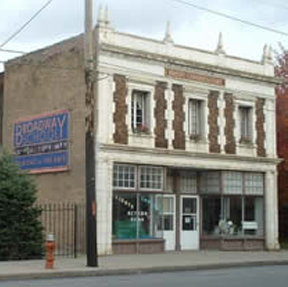 The building is prominently positioned in the Broadway Historic District of Cleveland’s Slavic Village area. The school was founded in 1980 and is located at 5415 Broadway Ave., Cleveland, Ohio 44127. Opera Circle presents live performances of operatic masterpieces for the enjoyment of the general public in Cleveland. Headquartered in Slavic Village, the company appears throughout Cleveland in venues such as St. Stanislaus Church, the Polish-American Cultural Center, Bohemian National Hall, Alliance of Poles Auditorium, St. Ann Church, and numerous other locations. Founded in 1995, Opera Circle is headquartered at 6501 Lansing Avenue, Cleveland, Ohio 44105. Founded in 2004 by six friends who strongly believed that music should be enjoyed by every citizen, young and old, CityMusic is a professional chamber orchestra that performs free concerts accompanied by exhibits of local artwork all over Northeast Ohio. KSKJ Life, American Slovenian Catholic Union, was founded in 1894 to promote spiritual and material assistance for Slovenian immigrants. Over 100 years later, the organization provides members and their families with financial security and fraternal benefits including insurance, scholarships, and a various social activities. Local Chapters include St. Lawrence Lodge #63.